The Marconigram sent by Erich Schmidt to James Breasted in 1929. The map made by von der Osten and Blackburn after only three days on the field (Osten 1928 The geographical review vol. XVIII Fig. 4 p87). 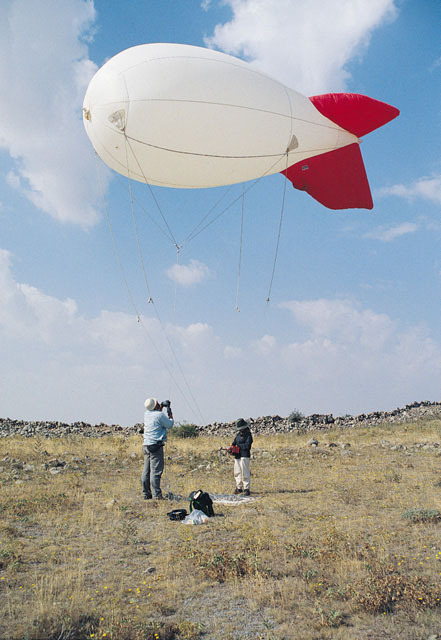 Flying the blimp in 1993 with resistivity survey in progress in the foreground. About to ascend in the hot air baloon. Geomagnetic data collection in progress. GPS kinetic survey with three receivers. Köksal Sanlı walking a GPS receiver between markers. Aysun positions a backsight prism over a known point. 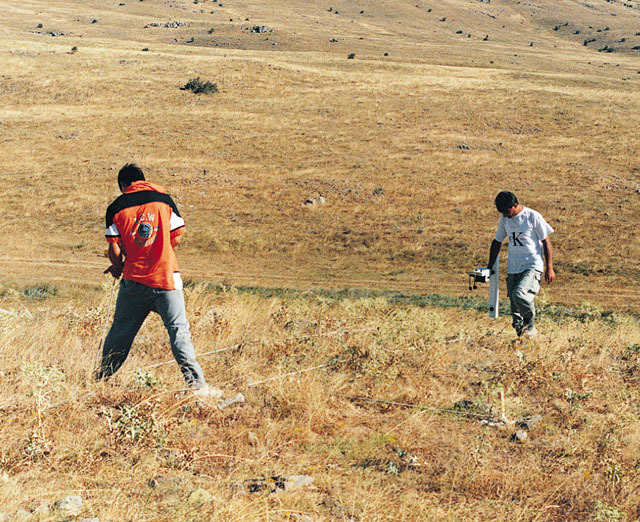 Nurdan, directed by means of a walkie-talkie, uses a mobile prism to set out the 20m grid for geophysical survey. 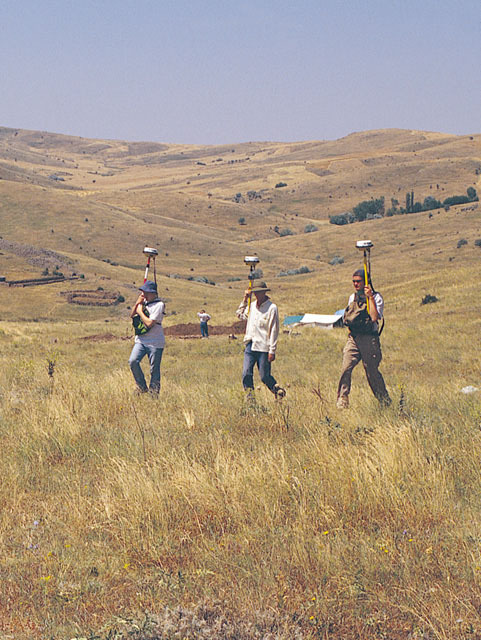 Sadettin marks the position of each wooden peg with white lime, which survives for several years, to facilitate verification - or ground truthing - of geophysical images. Nufel stands on plastic crates in order to raise the gradiometer during set up at the start of each session. Harald von der Osten-Woldenburg experiments with electro-magnetic induction in the city that was first mapped by his great uncle Hans Henning von der Osten and H. F. Blackburn. Resistivity Survey on stone-free level areas can only be done while the ground is wet in the spring.